I am excited to share that my writing coach service, WRITING AS HEALING PRACTICE, is off to a great start. In the last two weeks, I shared two exciting testimonials. This week, I would like to share how visual art relates to my own writing practice as well as my coaching service. As the great poet and essayist Anne Carson reminds us, seeing poetry as a visual art allows you to see the poem as an object, something “enterable” and related to our bodies. Lately, I’ve shared how adulthood can often bring a sense of loss, anxiety/depression, and distrust of the body, leading to despair. Frida Kahlo’s life and art, on the other hand, is a story of resistance to despair. Whether it was polio, a bus wreck, miscarriage, infidelity, or an infuriating classist society, Kahlo sharpened her fears into spears. She did not see her art as an illusion, a surreal expression of the unconscious. Instead, she turned to her paints and her complicated life to recreate her reality. 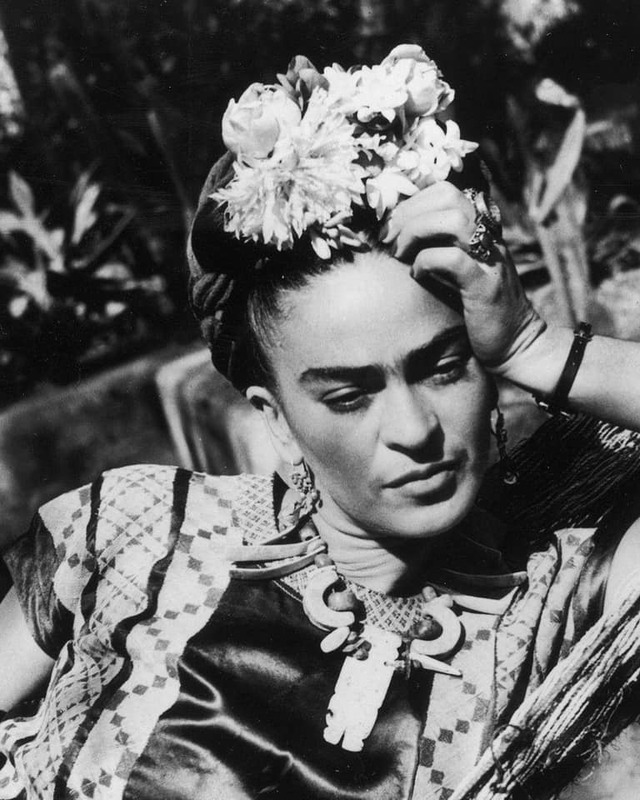 From her bold fashion sense, the use of real blood in a painting, political activism, or a pet monkey, Kahlo’s work was meant to be lived-into. If the root of health means wholeness, with her fierce imagination and unbreakable honesty, she sought to piece-together both her broken body and her classist society. I am glad that we can learn from her technique in our writing, breaking and re-shaping language. In the end, Kahlo never became the medical doctor she wanted to be; she became a patient. But her art healed her and others, it created a powerful vision, emboldening us to join.